Members of the Steel City Branch of the Coast Guard Enlisted Association spent their Friday presenting a plaque to the Pittsburgh Steelers. Accepted by Jim Rooney, the Steelers were honored for their work with the Coast Guard, a group they do plenty of work with throughout the year. The Coast Guard has been part of the Steelers’ game day operations for years. 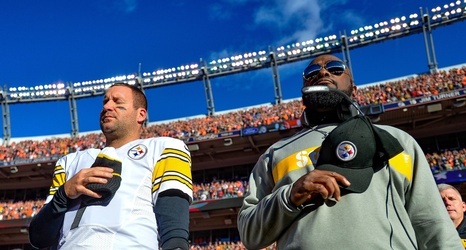 During home games, they present the nation’s colors, and Pittsburgh is constantly honoring their members through programs such as ATI Salute to Heroes, Heroes at Heinz Field, Armed Forces recognitions, and Salute to Service game.